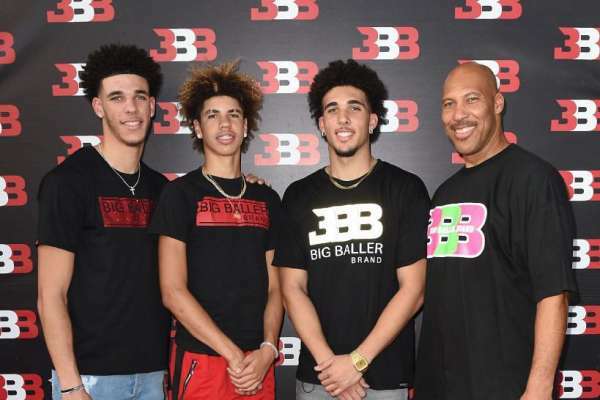 The Ball family is parting ways with UCLA—and, it seems, the NCAA in general. LiAngelo Ball, a freshman, is one of three UCLA basketball players who were indefinitely suspended after a shoplifting incident in China. Ball, the middle Ball brother, did not play a single game in college after being suspended from the team — along with teammates Cody Riley and Jalen Hill. LiAngelo and UCLA parted ways officially on Monday, which marked the start of his preparation for his professional basketball career. Harrison Gaines, the representative for LaMelo, 16, and LiAngelo, 19, started initial contact with overseas teams this week, sources told Yahoo Sports. The international marketplace in China and Europe was difficult in free agency over the summer, and remains so because teams have started their seasons and have limited roster availability. LaMelo and LiAngelo — the younger brothers of Los Angeles Lakers starting point guard Lonzo Ball — have plenty of name recognition and accolades as they attempt to find professional landing spots ahead of their NBA draft turns. All this news is a little overwhelming. Rarely do you see young hoops stars seize control of their future to this degree. And while LaVar appears to be steering the ship, you have to imagine LiAngelo and LaMelo are at least somewhat on board. Of course, the list of successful transitions from high school to overseas to the NBA isn’t particularly deep. Though some have seen seasons abroad as a viable alternative to one year or more of college ball, you don’t get a lot of high-profile players doing it. Brandon Jennings and Emmanuel Mudiay are probably the two biggest names of the past decade. LiAngelo, for his part, isn’t considered a highly touted NBA prospect. LaMelo is a different story. It’ll be interesting to see how this pivot plays out in the short and long terms for the both of them.